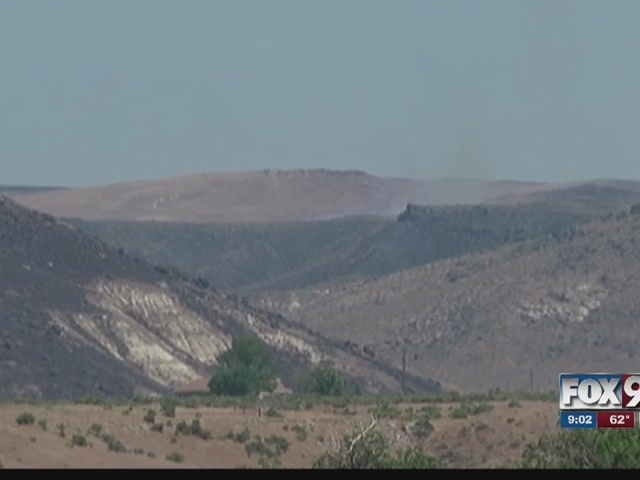 A Nampa man is facing a bill for nearly 325,000 dollars after his small cooking fire near the Snake River spread to nearby brush, sparking the 7,400 acre Celebration Fire. It happened on June 6, 2015 at a popular camping and fishing spot off Con Shea Road northwest of Murphy, Idaho. Celedonio Perez-Sanchez claimed responsibility for the fire, and called 911 from the scene. 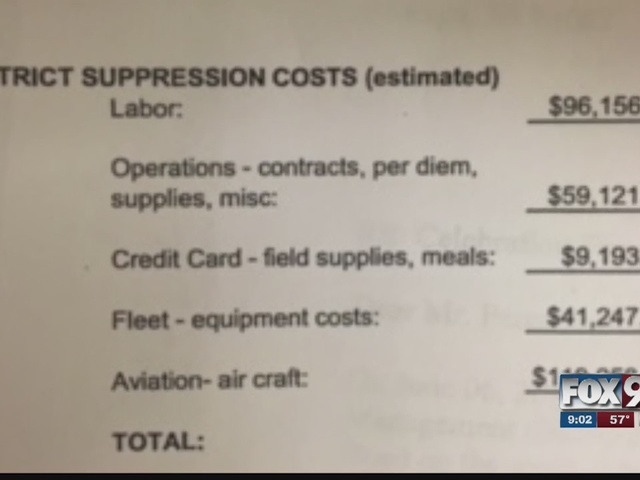 Ten months later, he received a copy of a “Fire Trespass Case Summary” with an itemized breakdown of costs associated with firefighting efforts. According to the report, Perez-Sanchez admitted to Canyon County Lake Patrol Officers Rob Pond and Ethan Ault the campfire was his and it had escaped his control. "I am not denying that there was an accident, and the accident was caused by me, but at the same time, an accident can happen to anybody," Perez-Sanchez explained with help from his translator. "Yes, I was doing the right thing by calling the authorities to make sure that everybody was safe. Just think about my situation. I was doing the right thing, and I don't have any way to pay this money." BLM leaders say fires are prohibited in the area Perez-Sanchez was at the time. The fire broke out on the south side of the Snake River on public lands. Perez-Sanchez, who used his son as a translator when speaking with 6 On Your Side, explained that he is on Social Security and disability. BLM officers say this is just the first step in what could be a long payment process and are willing to come to an agreement with the man. "We're not making people sell their houses or anything like that, and it doesn't get attached to their children," BLM Boise District Fire Management OFficer Andy Demlas said. "This is a debt that he will settle at one point or another. So we'll negotiate that with him based on his capability to repay it." "It took us ten months to get to this point, It's not going to be resolved quickly," Demlas said. "Here's what our accounting is for what the cost was for this fire and that's what we'll try to recover for the taxpayer [...] then we come to some sort of settlement or agreement after that point."